This custom project is an approx. 450 sq. 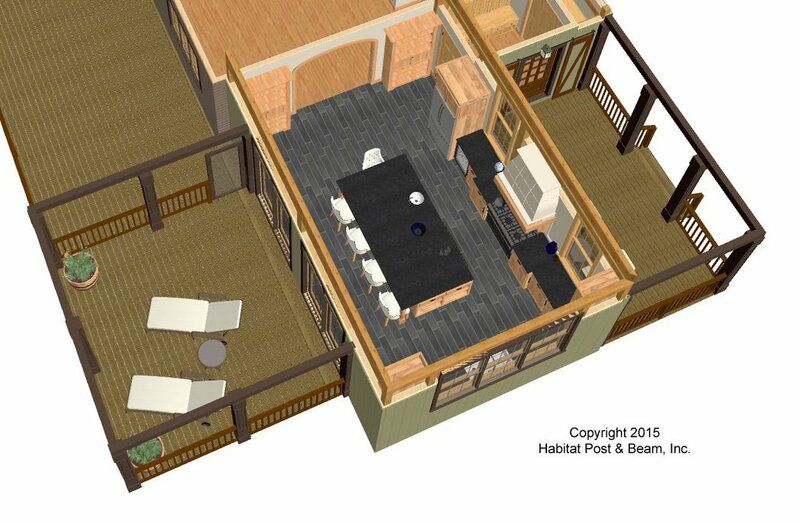 ft. kitchen and entry/porch addition. 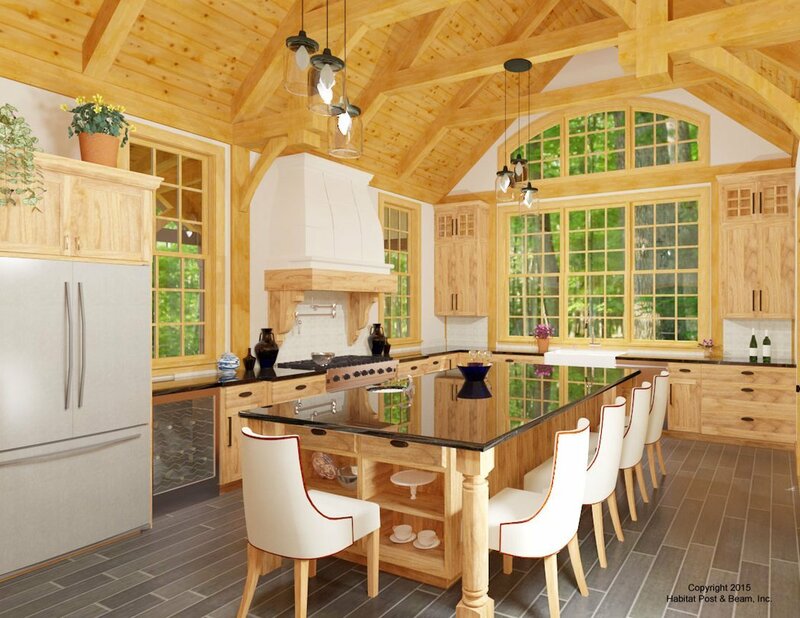 The kitchen has a beamed cathedral ceiling with a custom hammerbeam truss, and patio doors that swing out onto the flat, liner-ceiling screen porch (http://www.postandbeam.com/roof-framing-system). An entry/mud room is adjacent to the corner of the kitchen, and abuts a large beamed cathedral entry porch. The addition is over a walkout basement currently designed for storage, with a door that exits to the yard beyond. Package Price: $94,000 as specified below (from $82,000 and $99,500 depending on framing options). 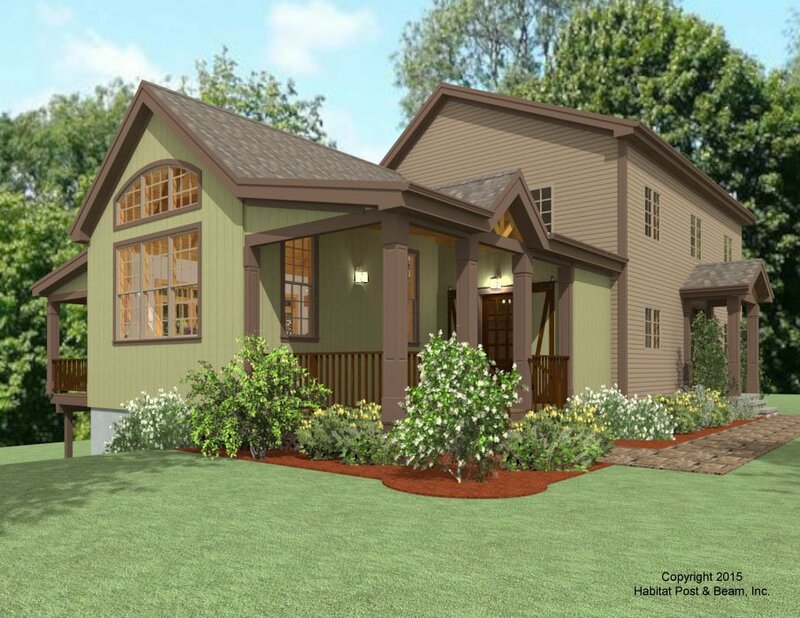 Beamed Roof System over kitchen and entry, Beamed Porch System for entry porch, and a Liner Porch System for rear screen porch. Standard Wall System. Price does not include walkout (daylight basement). 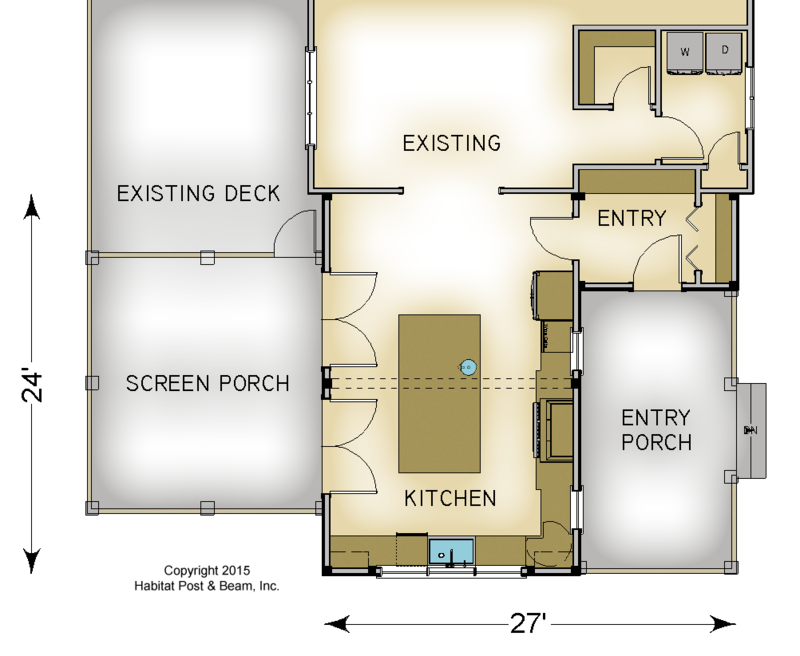 This plan prices higher than most of our additions due to a number of features, including an 8x8 hammerbeam truss in the center of the kitchen, 11' walls in the kitchen, very expensive window/door selections, multiple porches, among other expensive design elements. *Note: Depending on framing options you select, the price could be lower or higher. This price is valid through 2019; prices generally increase about 2-3% a year after pricing date.